¡Salud! was created by a group of Oregon winery owners and Tuality Healthcare physicians to address the hurdles faced by vineyard workers who cannot meet their basic healthcare needs. The vast majority of field workers move from one crop to another. Their temporary status with each employer makes them ineligible for health coverage. Without insurance, these men, women, and their families often do not seek professional healthcare until their problems become acute. Their knowledge of basic health education is poor, and they are overwhelmed by the maze of complex and confusing resources available in the medical system. ¡Salud!’s mission is to fill this gap. Hamacher Wines has been part of the ¡Salud! Vintners Circle for more than 20 years. With dedication to raising funds for the Tuality Healthcare Foundation, Eric Hamacher creates a one-of-a-kind Pinot Noir cuvée and the best of its vintage especially for ¡Salud! This unique auction experience is always held the the second weekend of November and is unlike any other in the country, set in two of the Willamette Valley’s most elite venues. The Big Board Auction takes place on Friday, where tickets holders can sample each cuvée presented from the various esteemed wineries. Saturday’s paddle auction is a formal sit-down feast designed to raise as much money possible to help aid and protect our vineyard workers and their families. For more information or to donate, visit saludauction.org. The American Civil Liberties Union of Oregon (ACLU of Oregon) is a nonpartisan advocacy organization dedicated to defending and advancing civil liberties and civil rights through work in the courts, in the legislature, and in communities. 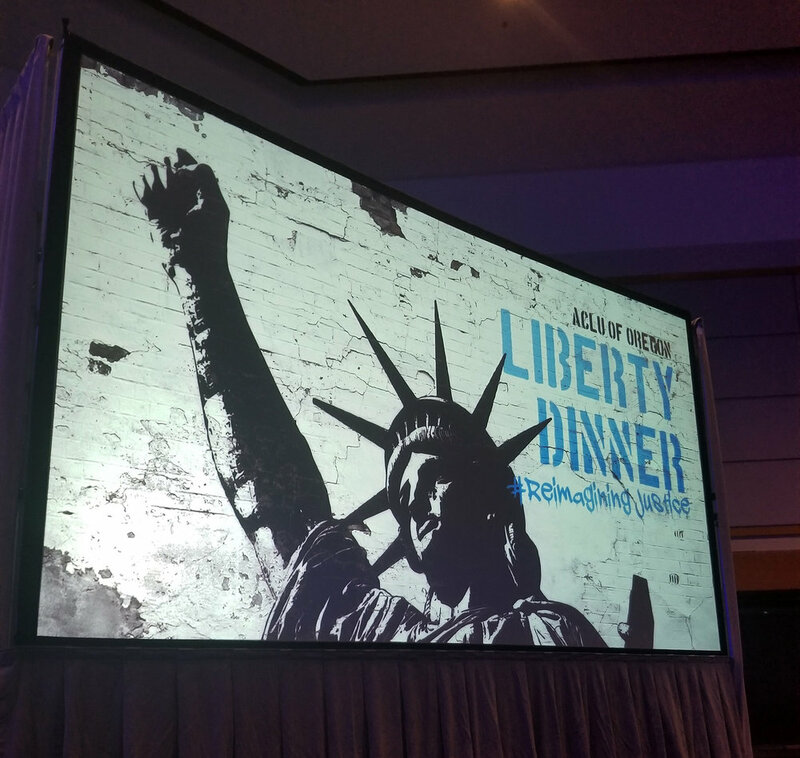 Hamacher Wines is an active supporter of the ACLU and has partnered with the ACLU’s annual Liberty Dinner and Auction by donating wine and auction packages to generate revenue for supporting the ACLU mission. The evening event takes place in late February and includes dinner and drinks, a video production and lectures and testimonials from some of the world’s most acclaimed civil rights leaders, activists and advocates. For more information or to purchase tickets, visit aclu-or.org. Since 1907, Albertina Kerr has strengthened Oregon families and communities by providing programs and services to children and adults with developmental disabilities and mental health challenges. 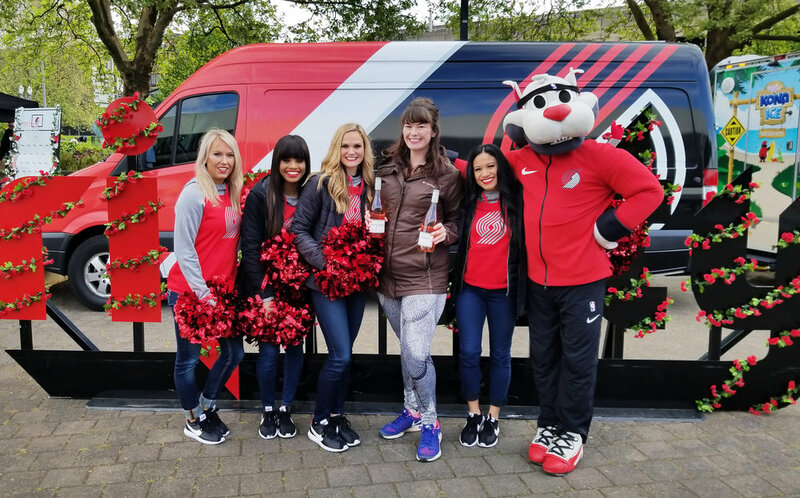 Rip City Race for the Roses is a chip-timed race that includes a half-marathon, 10K, 5K and 1K for kids and families to run and/or walk. The race was designed to generate proceeds for the Albertina Kerr mission. The event is a fast and accurate course that starts on the Broadway Bridge and wraps around through downtown Portland, Oregon. Hamacher Wines has partnered with Albertina Kerr since 2017 by releasing our seasonal Pinot Noir Rosé coincide with the day of the race encouraging participants to “Race for Rosé!” where complimentary samples of the new release are presented at the finish line. For more information or to participate in the 2019 Race for Roses, visit albertinakerr.org.